If you’ve been reading this site for any length of time you probably know that we are always on the lookout for things that most people don't know about. We love it when locals show us special places travelers might not know about, so we can share them. 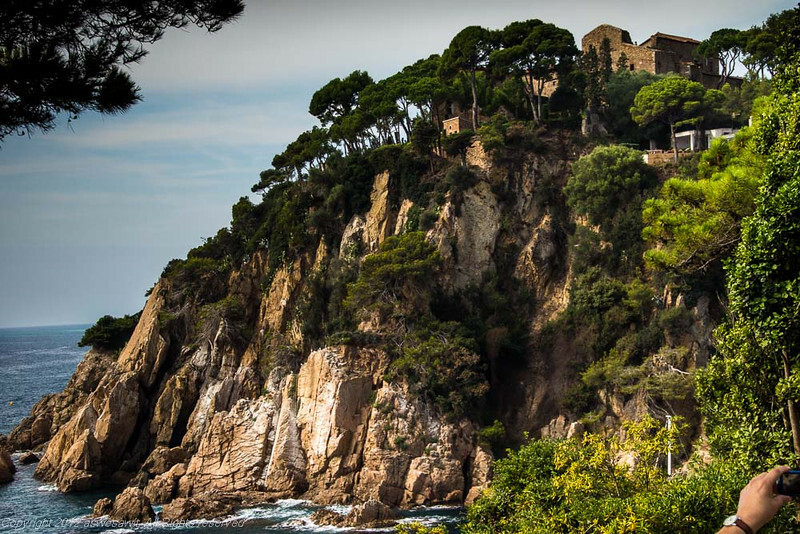 How cool was it that the Visit Costa Brava tourism bureau took us on a tour! What a brilliant move: Invite a bunch of bloggers out to show them your region. 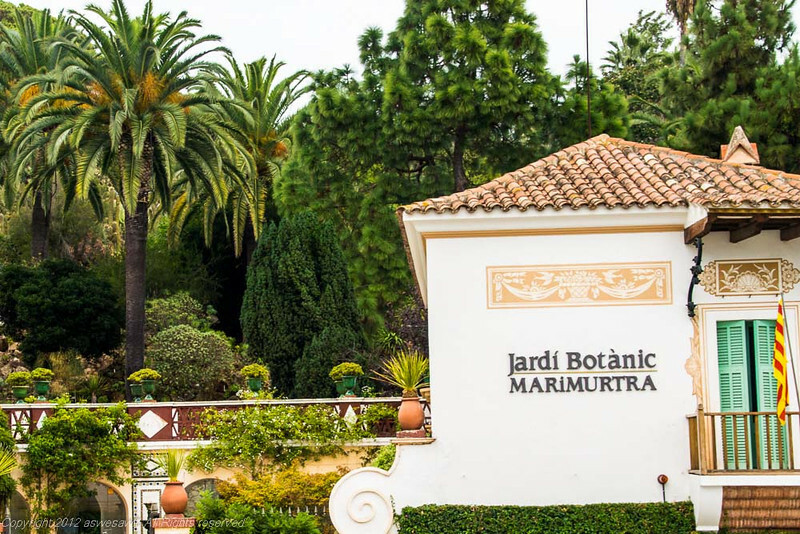 Of course, they knew just where to take our group: visit the Marimurtra Botanical Garden, atop the hill towering over the town of Blanes. 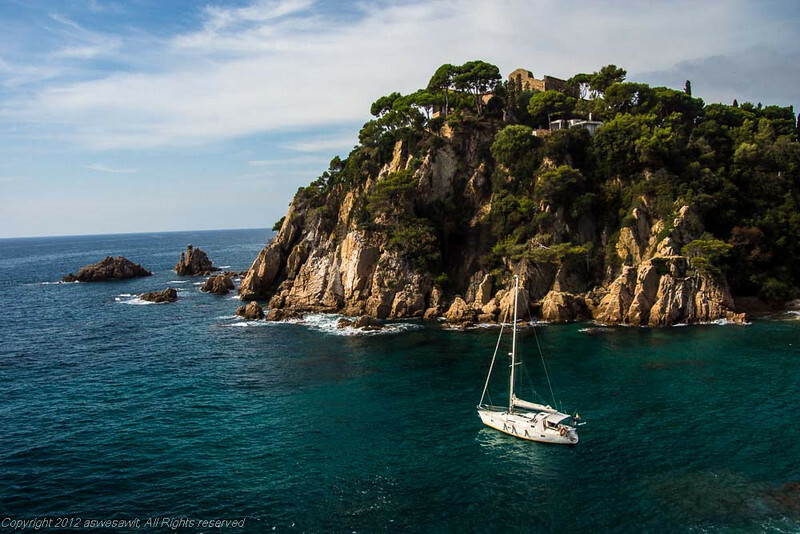 Blanes is a cute seaside town with a beautiful harbor and homes sitting precariously on the rocky hills nearby. We all piled into a bright yellow shuttle that carried us out of town and up to the garden. The twists and turns of the road gave us all a chance to see the marina and town we had come from spread out below us. Once the bus had finally disgorged us at the top we were escorted into the garden. 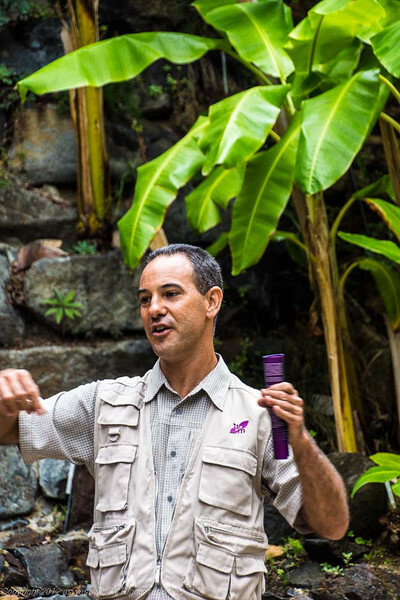 Our naturalist guide gave us an overview, beginning with telling us about the garden's overview. 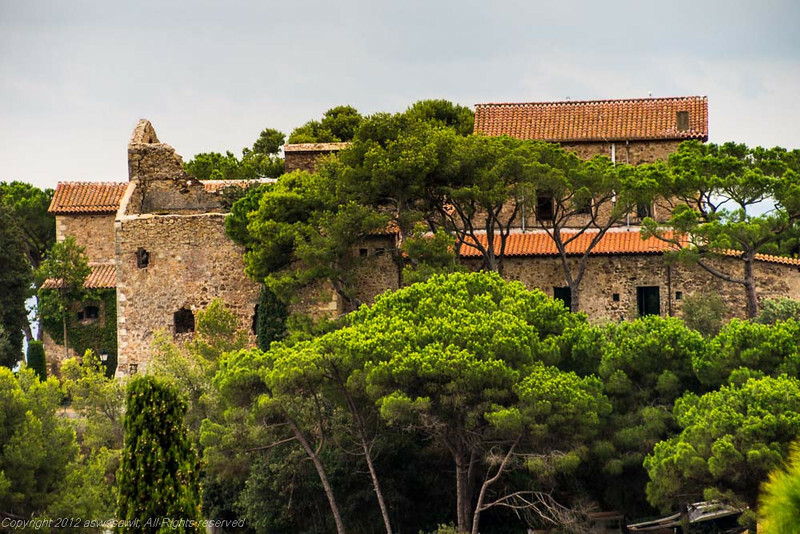 Hs told us that its beginnings were almost 100 years ago when Carl Faust, a businessman and naturalist, purchased 16 hectares above Blanes in order to create a center for botanical study, teaching and research. Over the years, it has grown in size as improvements have been made. 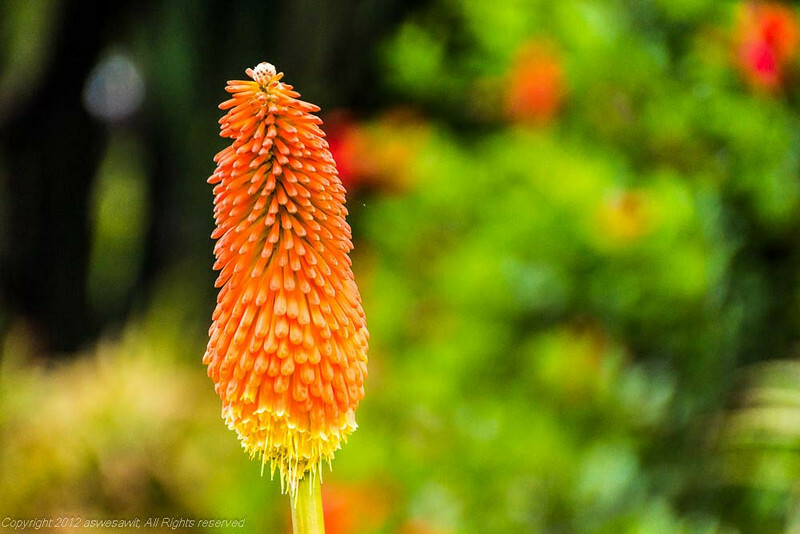 Marimurtra is now one of the oldest and best botanical gardens on the continent. Pretty impressive. And so started our tour. Mar i Murtra, incidentally, means Sea and Myrtle, and yes, it does overlook the sea. Most of the garden is preserved for study but about four or five acres are open to the public. 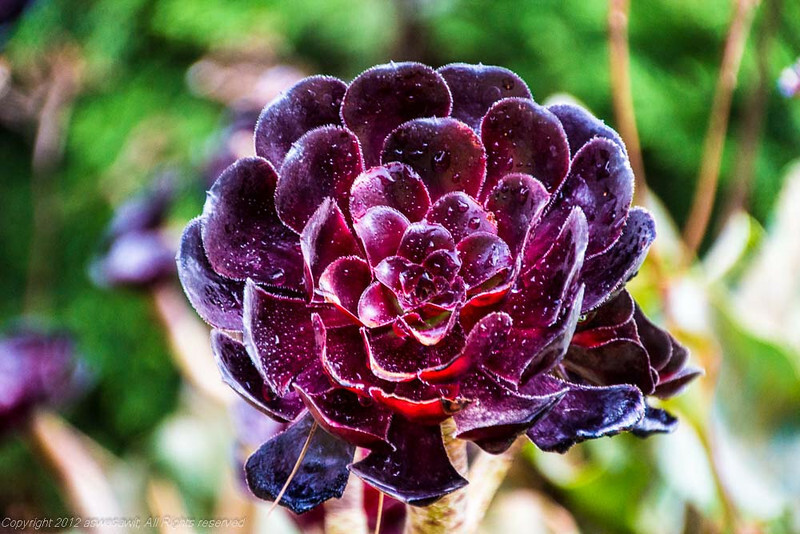 The 4000-odd species that grow here come from five continents, and are grouped by their place of origin so, for instance, all the American cacti are in the same area. 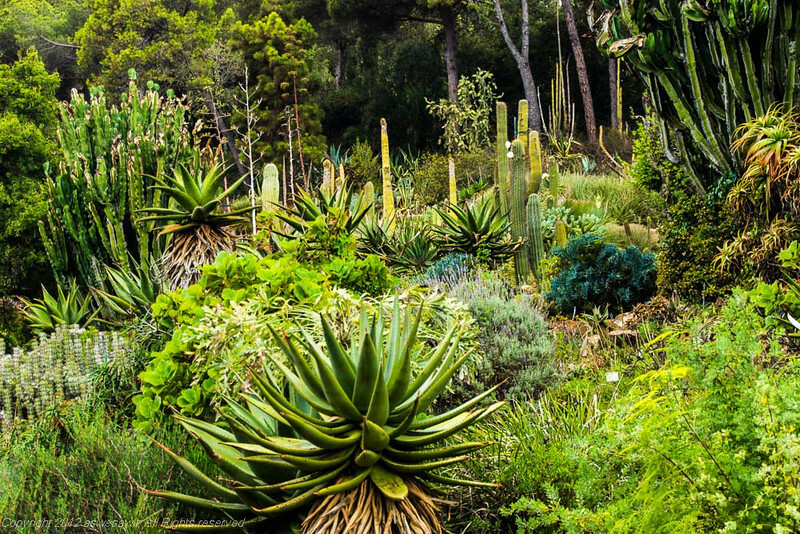 The Garden employees are rightfully proud of their Five Mediterraneans: There are five areas in the world with a Mediterranean climate, and there is a garden here for each. Besides that, Marimurtra has a very massive pergola with many vining plants, and it would have been heavenly to sit in its shade for a while and watch the birds. 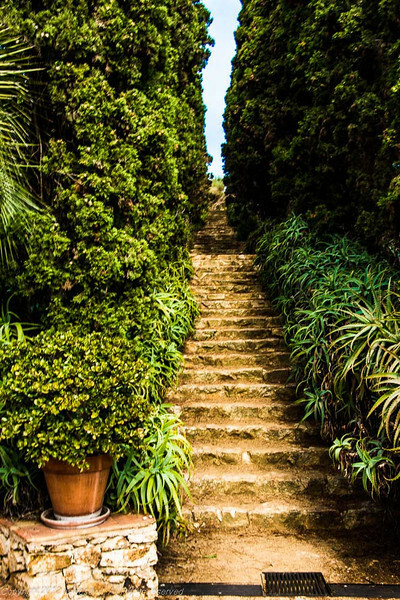 The problem was that there were dozens of paths and every one had more beautiful plants and architectural features to enjoy. 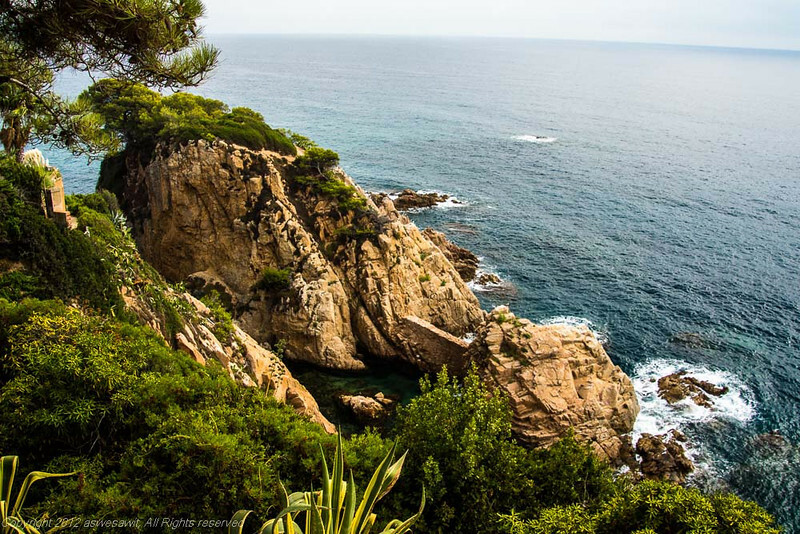 No matter which way we looked from this clifftop garden, irresistible views beckoned. Call it a professional hazard, but bloggers try to capture beautiful images everywhere they go. Everyone wanted to stop for “just one or two quick photos” and our very patient guide had to continually remind us to keep moving. We ended up finding a stepped path flanked by greenery and flowers that ran along the cliff’s edge. The panorama was just spectacular, especially with the dramatic cliffs and rocks rising out of the sea. And look at the gorgeous blue of the water! How could we resist? Even his bribe-promise of “a surprise at the end” didn't move us along. Finally, he managed to herd us to the garden's classical landmark, the Linnaeus Temple. Talk about photo ops! This was a surprise, with even more incredible views of cliffs and sea … along with a table set up with glasses of cava for us all. Well said. Besides, these postcard-worthy views from here surpassed the others. 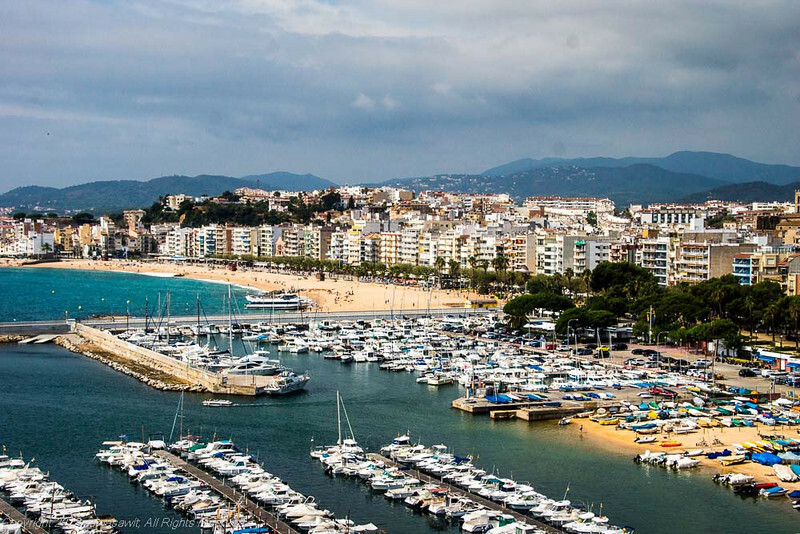 Here are some ideas to help you plan your own trip to Blanes. Share it with your friends on Facebook.